5.4 Shortcode attributes Usage Details. Owl Carousel WP post type will show below POSTS . Download Owl Carousel WP Pro(.zip file) from Purchase History . Owl Carousel’s post type will show below POSTS . Owl Carousel WP post type will show below POSTS with its owl icon. 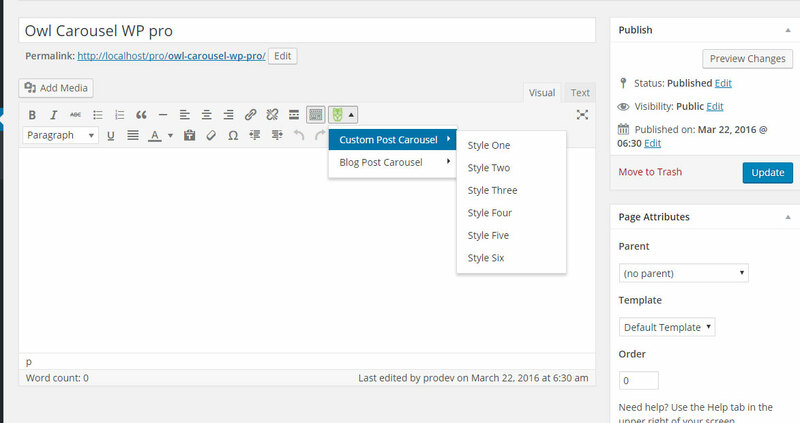 I hope , you know how to add a post or a page in WordPress then it will be very easy to add a Owl Carousel in your website. There are four (4) easy steps to complete the task. Title (1) : This is self explanatory. Just add the Title Of The carousel. Featured / Carousel Image (2) : Add Company Web URL in Owl Carousel . Keep it blank if you do not want to add any URL. Excerpts(3) : Short Description of the Carousel. Categories(4) : Add a category of the carousel. Add a Category to group any specific category . Go to Owl Carousel WP > All Carousels to see all the Carousels you added until now. 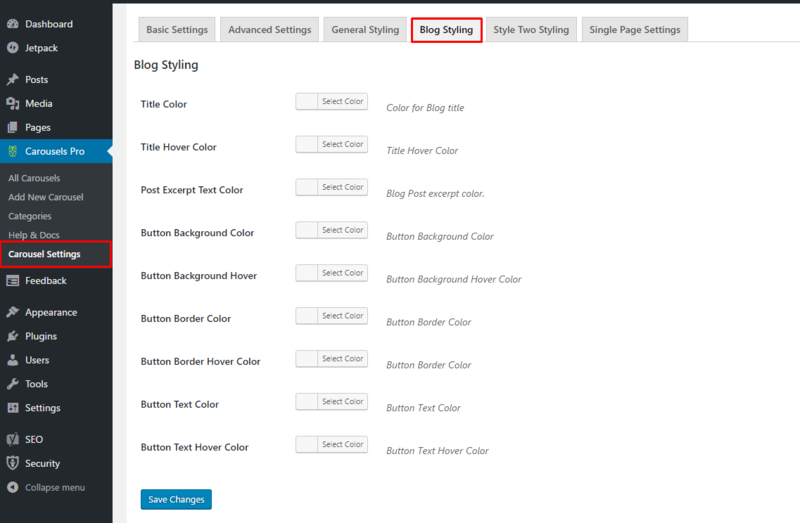 Mentioned columns will display here ..
7 navigation true true / false Display “<" and ">” buttons. 11 post_cat null Post category Slug the slug of the post category , you want to show. 15 default_items 4 4 You can put any numaric value. 16 large_desktops 4 You can put any numaric value. This allows you to preset the number of slides visible with a browser width of 1199 px. 19 carousel_cat null carousel category slug The slug of the carousel you want to show. 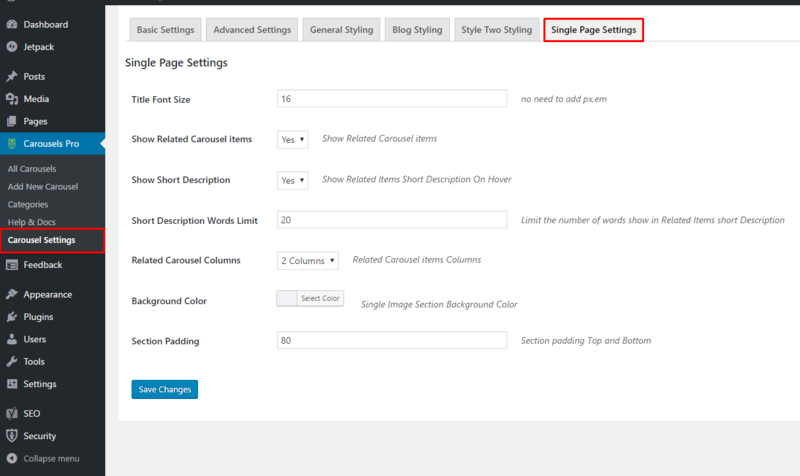 Owl Carousel Admin Setting Option available only at PRO version. At Basic Settings instructions added with each field. 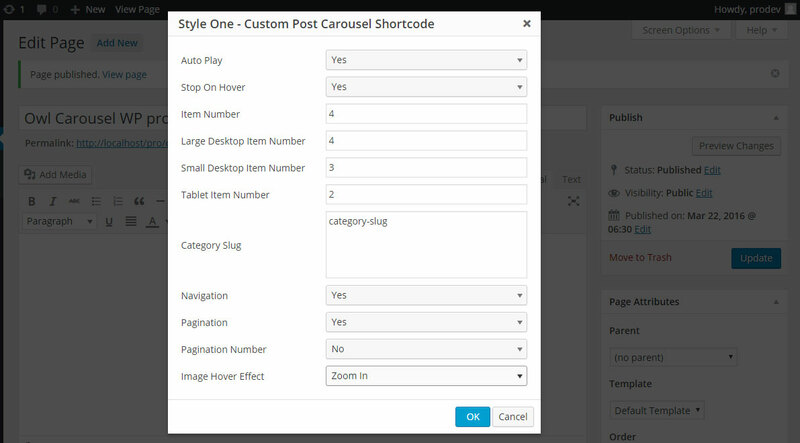 Owl Carousel Admin Setting Option available only at PRO version. At Advanced instructions added with each field. Owl Carousel Admin Styling Setting Option available only at PRO version. 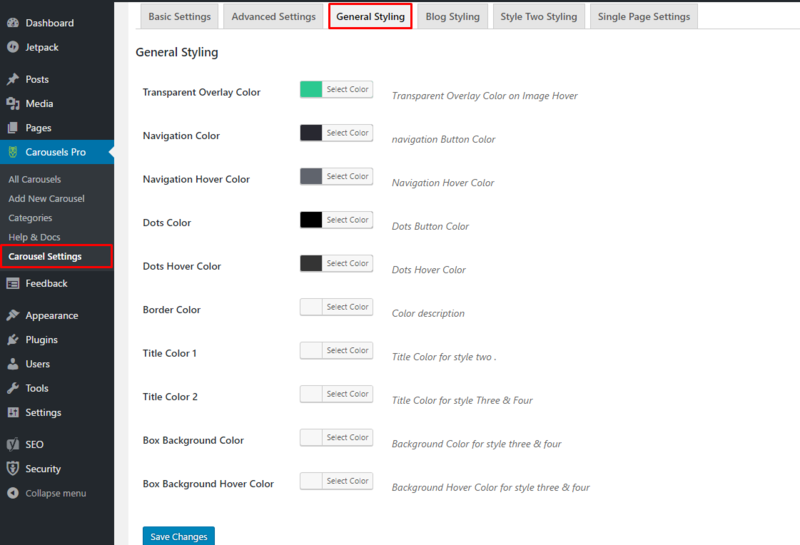 At Basic Settings instructions added with each field.